Abstracts Submission | ETP Symposium Inc.
Abstracts submissions are completed during the registration process. PLEASE NOTE: All abstracts must be of a scientific nature. The abstracts will be reviewed by the Organizers. Notification of accepted abstracts will be sent out by email. All abstract applicants must be registered for the symposium the registration fee paid prior to the conference date. 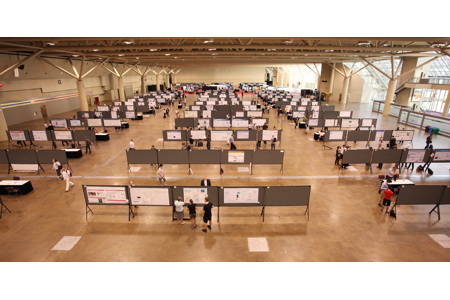 Please note that those abstracts that are not selected for oral presentation, will be considered as a poster presentation. Abstract submissions will be accepted during the registration process. If you have already registered for the conference and wish to submit an abstract, please use your login information created at the time of registration. Abstract submission has been designed to take only plain text information; no figures or diagrams are to be submitted or special characters used. Please ensure that all your information is noted in the appropriate fields. All information is to be submitted through the conference website. - Fasteners will be provided on site. - Each speaker will have 15 minutes for presentations, including introduction, question & answers. NOTE: Abstract Submissions (Both Oral and Poster) are open to ALL participants.